I concluded my PhD in Physics at the Polytechnical University of Torino (Italy) on November 2002 (dissertation Spring 2003). The subject of my research was to develop a theoretical/computational scheme able to solve the electronic transport problem in Quantum Systems with Open Boundaries. I obtained my degree in Physics at the University of Modena (Italy) in the year 1999 with mark 110/110 and with a title degree theme: “Electron-hole quantum non-locality effects in photoexcited semiconductors”. I obtained my high school diploma at the “Iistituto Tecnico Industriale F.Corni” in Modena, Italy, specialization “Computer Science”, in Summer 1992 with mark 60/60. On June 2016 I was appointed Visiting Full Professor by the CNITECH institute of the Chinese Academy of Sciences. The research activity will be centered on the development of innovative light harvesting techniques coupled to energy storage systems for the realization of autonomous implantable nano-devices for in-vivo monitoring. On October 2014 I was appointed Adjunct Professor at the University of Genova. I lead the energy group at the Department of Nanostructures of IIT. Together with my colleagues, we have built a simulation/experimental facility for testing advanced energy harvesting devices such as rectennas. I am also responsible of the recently established nano battery group where we have introduced a new paradigm, based on top-down fabrication technique, for the conceivement of advanced and miniaturized Li-ion batteries. On October 2009 I was appointed as Team Leader at the Department of Nanostructures of the Italian Institute of Technology (www.iit.it). My current research activity is mainly focused on micro/nano devices for energy related applications.In particular,phenomena like delivery of energy at the nanoscale, plasmonic photovoltaics, photonic band gap of metallic lattices, optical properties of carbon-like materials in the UV/optical/THz regions, and development of nano-plasmonic devices for SERS/TERS-like applications (such as nano-antennas and tapered structures) have become a central point in my research. Three years ago, my research activity has extended also towards problematics in the energy storage field, such as the development of Li-ion based nanobatteries with top-down approach technique. On October 2007 I was appointed Associate Professor at the College of Electronic Science and Engineering of Jilin University in China (head of the group: Prof. HongBo Sun). My research activity was mainly focused on photonic periodic/quasiperiodic lattices both from a fundamental and applicative (fiber oriented) point of view. (1) from August 2003 to September 2005 I worked as post-doc with a fellowship from the Japan Society for the Promotion of Science (JSPS). 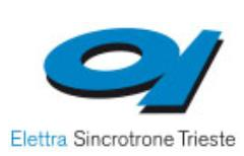 One of my purposes was to represent a scientific exchange channel between the Italian laboratory Lilit located at the synchrotron area of Trieste and the Japanese counterpart LaSIE, located at the Osaka University. Our goal was to join the different competences present in the two laboratories to realize new sorts of optical devices and experiments. Particularly, I have been developing some new simulations on the field of photonic crystals aiming to realize three dimensional optical structures by means of two photons and holographic lithography. (2) from September 2005 to April 2007 I was working as JST (Japan Science and Technology Agency) researcher. (3) from April 2007 to October 2007 I was employed as Osaka University Researcher on themes related to theory and applications of optical devices. Particularly, development of carbon-based devices was an issue. from February 2003 to August 2003 I worked as post-doc at the Lilit Group –INFM-Trieste (Italy) located at the Elettra Synchrotron Facility, on the subject “2-photons lithography and Optical Tweezers”. Our aim was to develop a system able to perform 2-photons lithography by means of optical tweezers. Indeed, by joining such techniques it is possible to realize 3D quantum devices as, for example, 3D optical memories, 3D quantum structures or perform experiments on biological organisms. 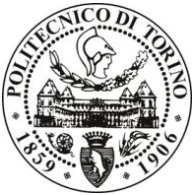 from November 2002 to February 2003 I worked as fellow at the Department of Physics of the Polytechnical University of Torino (Italy) on the theme of Quantum Transport. At both IIT and University of Genova I dedicate part of my time for post-graduation classes. Two are the main topics I have been teaching in the last 5 years: i) micro/nano devices for energy applications; ii) introduction to Plasmonics. At Jilin University, I have been part of a research group (C-UFO: http://www.lasun-jlu.cn) counting about 10 people of staff and 60 students (undergraduate, master and PhD). The philosophy of the group was to provide a transversal supervision of the students’ research activity. Besides, teaching courses for both undergraduate and graduate students were part of my duties. The main course was "Computer science for Physics" where I was introducing to students’ different numerical methods for solving typical physical problems. At Osaka University I was in charge of the theoretical aspects of the Material Group inside LaSIE laboratory (http://lasie.ap.eng.osakau.ac.jp/home.html). An annual average of ten students have been working in the Material Group, divided among undergraduate, master and PhD students. My teaching activity involved the introduction and analysis of energy/optical devices, mainly in relation to the physical concepts beneath their functionality. To count, I have supervised about 5 master students (Osaka University & Jilin University) and 15 PhD students (Jilin university & IIT). 2009 Visiting Scientist grant; supporting agency: Japanese Society for Promotion of Science. 2009: SMD project (Single or few molecules detection by combined enhanced spectroscopies), nr. CP-FP 229375-2 (EUR 265K), under EU FP7. 2009: Nanoantenna project (Development of a high sensitive and specific nanobiosensor based on surface enhanced vibrational spectroscopy dedicated to the in vitro proteins detection and disease diagnosis), nr. 241818, funded under: EU FP7-HEALTH (EUR 340K). 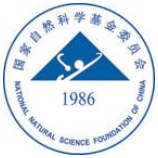 period: from Jan. 1, 2010 - Dec. 31, 2012; supporting agency: National Natural Science Foundation of China; title of the project: Surface plasmon enhancement and its application in organic light-emitting devices. period: from Jan. 1, 2009 - Dec. 31, 2012; supporting agency: National Natural Science Foundation of China; title of the project: High efficiency middle infrared radiation light source fabricated by femtosecond laser (nr. 60677018). period: October 2014 - July 2015: ARIADNA, funded by European Space Agency. Topic: Photon Enhanced Thermionic Emission. Role: P.I. period: January 2015 - November 2017: Multifunctional sensingtechnique based on surface plasmon interference, funded by the Molecular Foundry, Berkeley (USA). Role: P.I. period: October 2015 - February 2017: ARIADNA, funded by European Space Agency. Topic: Rectennas in the NIR/Vis range. Role: P.I. 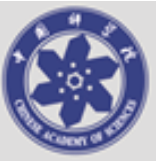 period: Jan 2016 - Dec 2020: 3315 Project, funded by Ningbo/Cixi (China) with support of Chinese Academy of Sciences. Total budget: ~1.4M euro. Role: P.I. Topic: Nanoenergy for bio-applications. My work mainly aims at modeling and experimentally validating complex systems at the micro/nano-scale with a strong emphasis on the final device. In particular, my research themes focus on the integration of different physics (i.e. interdisciplinary) such as photonics, heat diffusion, electric charge/mass diffusion and mechanical-deformation towards the development of innovative devices for energy manipulation (harvesting and storage) and optical sensing (nano-sensing). I am co-author of 14 book chapters and about 80 journal papers (all peer reviewed). In particular, I contributed to 1 Nature Photonics (IF 31.167), 1 Nature Communications (IF 11.470), 1 Nature Nanotechnology (35.267), 6 Nano Letters (IF 13.779), 3 ACS Nano (IF 13.334), 2 Advanced Materials (IF 14.829), 1 PNAS (IF 9.67), 2 ACS Applied Mat. & Int. (IF 6.72), 1 Journal of Power Sources (IF 6.333), 4 Scientific Reports (IF 5.578), 5 Physical Review B (IF 3.74), 2 Applied Physics Letters (IF 3.844), 3 Optics Letters (IF 3.385), 8 Optics Express (IF 3.587), 4 ACS Photonics (IF 5.404), 1 Advanced Functional Materials (IF 11.8), 2 Nanoscale (IF 7.394), 1 Journal of Physical Chemistry Letters (IF 8.54) and 1 Science Advances.